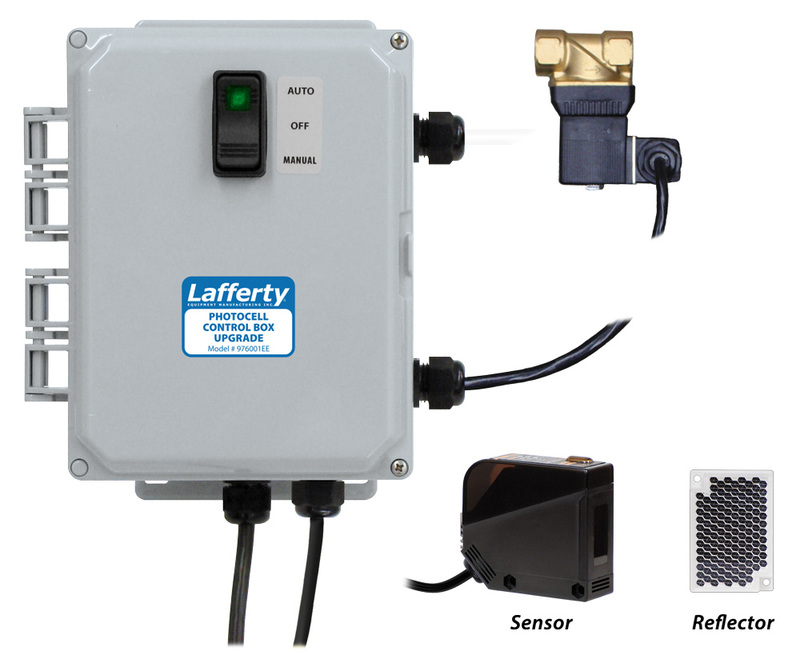 Photocell Upgrade for Venturi Entryway Foam Sanitizers (Specify at Time of Purchase) | Lafferty Equipment Manufacturing, Inc. The Photocell Upgrade allows any Venturi Timed Entryway Foam Sanitizer to be activated via a photocell sensor and apply foam to the entryway floor, "on-demand", for a set amount of time. The multi-function timer also controls the minimum amount of time between activation, preventing costly over-application when traffic is heavy. Timer settings are field adjustable. This upgrade must be specified at the time of purchase.